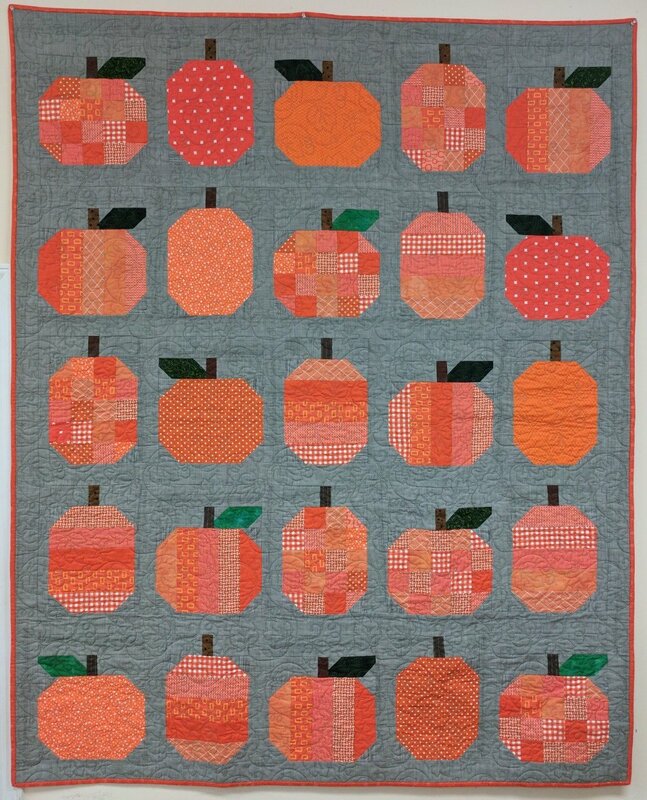 It may be hot and muggy now, but soon those winds will come blowing and you will be SO happy to have this beautiful pumpkin quilt to enjoy for the whole fall season! This quilt is super easy and fun to make from a fat quarter bundle and a bit of extra fabric you probably already have in your stash! Make sure to pick up your pattern and fabric before class so you can come to class already cut and ready to sew!